So, we’ve been working on putting our SharePoint solutions through a proper build process in Team Foundation Server 2010 (TFS), and I hit a bit of a snag. I had been given a build definition that had a build process – a Workflow Foundation workflow – that I wanted to alter. The problem was that while I had the XAML file for that workflow, and the DLL that defined some custom code activities that the process used, I didn’t have a full Visual Studio project for it. No problem, I thought, I’ll just open the XAML up in Visual Studio and edit it. Create a new Visual Studio Project. Use the Workflow > Activity Library template. 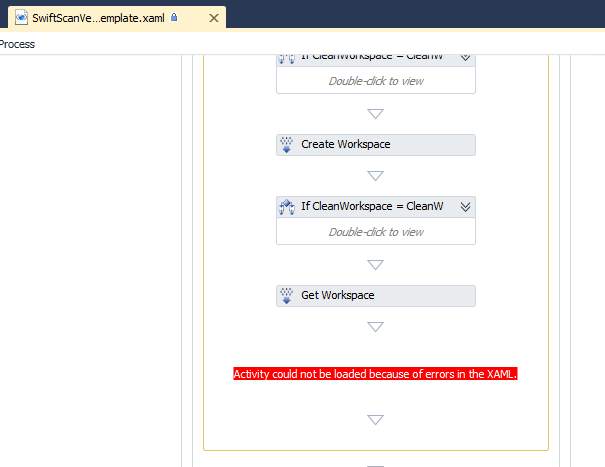 Remove the XAML file that is automatically added to the new project. You can delete it. Add your existing XAML file. Add references to any additional assemblies that your project uses. Presto – I could now edit my workflow within Visual Studio. I checked this into TFS (to sit alongside the code for my project) and changed my build definition to use my newly edited process.